Johann Sebastian Bach is generally regarded as one of the greatest composers of all time. He was born in Eisenach (Germany) into a great musical family. He was the youngest son of Johann Ambrosius Bach, the director of the town musicians. who likely taught him violin and basic music theory. His uncles were all professional musicians, whose posts included church organists, court chamber musicians, and composers. After becoming an orphan at age 10, he moved in with his eldest brother, Johann Christoph Bach (1671–1721), who was church organist and exposed him to the works of great composers of the day, including South German composers such as Johann Pachelbel (under whom Johann Christoph had studied) and Johann Jakob Froberger. 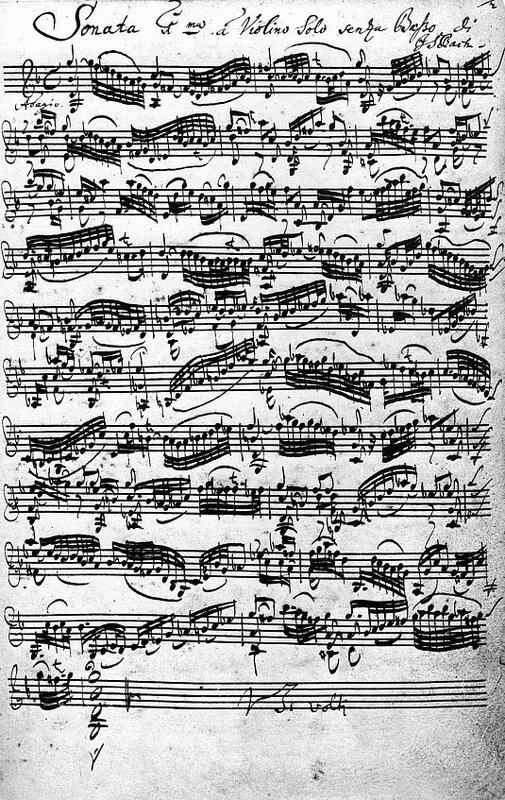 Bach’s compositions are, in general, not very easy for the average ‘intermediate’ guitar player. To adapt music originally written for another instrument than the guitar, one must make many choices. Ranging from ‘pure’ transcription (staying as close as possible to the original texture and spirit of the composition) to an arrangement with more freedom of interpretation. Depending on the original instrument and the musical complexity of the original work some form of arrangement is inevitable. In my transcriptions of Bach’s works for violin and cello I tried to stay faithful to the original as much as possible.